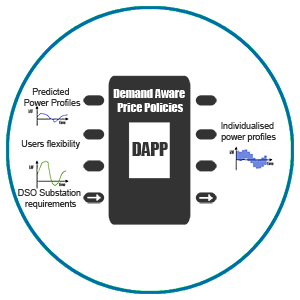 By exploiting the knowledge of the actual energy usage/generation profiles of each single home (as collected by home smart meters or computed from such data by other services like e.g. 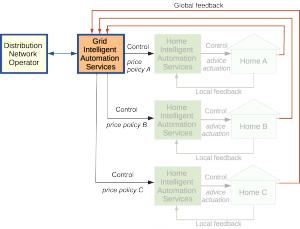 EUMF), SmartHG Grid Intelligent Automation Services (also called Grid Services) will enable a new level of smartness in the Smart Grid and optimise the EDN operations. Such an optimisation will result into lower EDN operation costs for the DSOs and better services for the citizens. 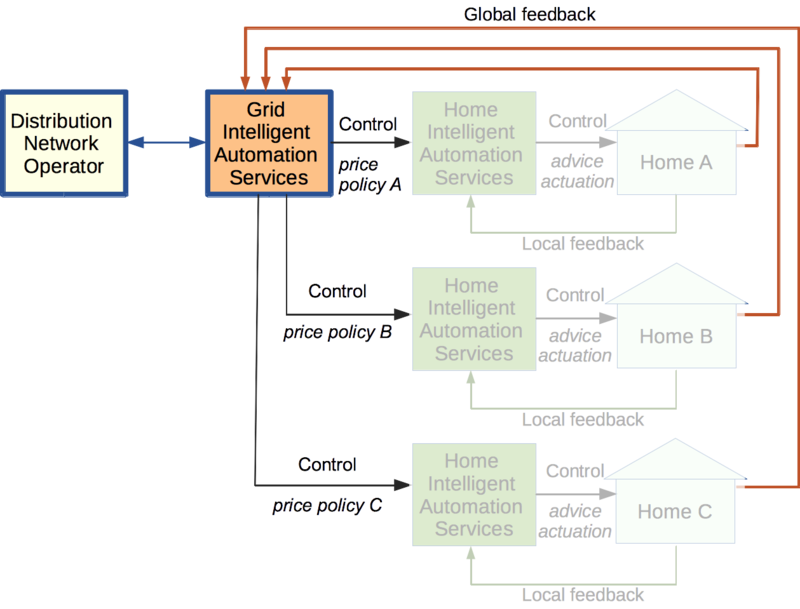 In order to actually optimise EDN operation as wanted, SmartHG Grid Services need to work in synergy with the SmartHG Home Intelligent Automation Services (also called Home Services), which in turn are responsible both to collect measurements from residential homes and to actuate actions decided by the Grid Services on the residential homes. 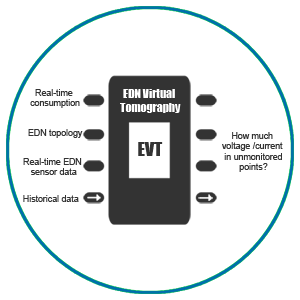 Grid Services for EDN Optimisation include 3 services: EVT, DAPP and PPSV, which work together as an integrated methodology. 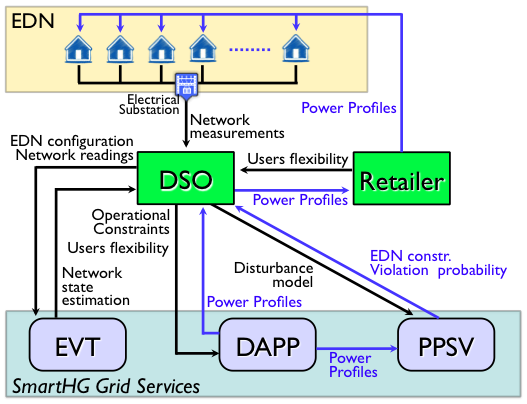 Computes operational constraints on each EDN substation in order to optimise EDN operation. Computes individualised power profiles for each residential user in order to enforce the constraints decided by the EVT. 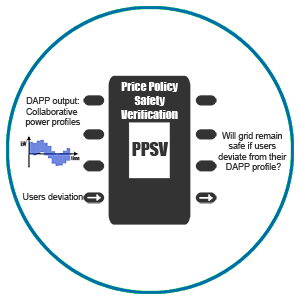 Verifies that the operational constraints decided by EVT are violated only with very low probability, under the assumption that the residential users does not exactly follow thier power profiles. 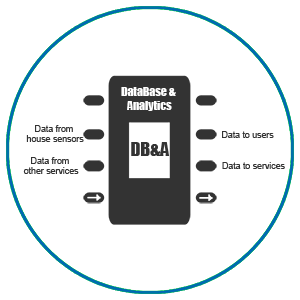 Gathers data from SmartHG Test-beds and realises the communication infrastructure among services.